After visiting the Fahrradmarkt my boyfriend Roger and I were wandering through the streets of Dornbirn when we stumbled across Hops & Malt, a beer lovers haven. Even though I am not a big beer drinker, for Roger it was like walking into a candy shop. 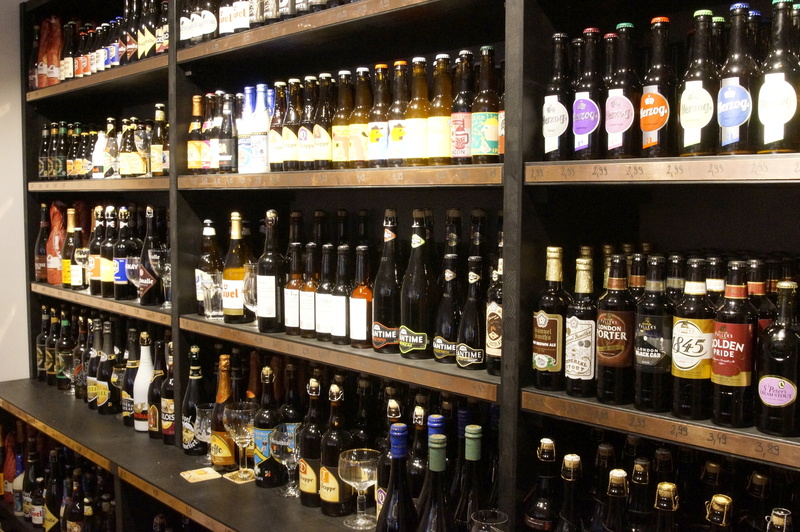 There were shelves and shelves of a whole variety of beer from across the world from pale ales and wheat beer, to bock beer and stouts. They also have a good selection of ciders in a variety of flavours. We were offered to sample a hone y beer while we browsed and even at 11am it would have been rude not to. They offer tastings of some of the beers they have on tap and they seemed happy to oblige if you want to taste test other beers before you buy. They also sell the recipe book “Kochen mit Bier” and from this had freshly made Beer Banana Bread for us to try. Banana bread is a staple on the menu’s in all Australian cafes and so naturally we were first in line to sample this. The best discovery of the morning was that they sold Roger’s favourite Australian pale ale, which he thought he’d have to give up when we moved here. So finally after settling on a six pack of Cooper’s Pale Ale (which came with a free beer glass) and a bottle of the Honey Beer we on our way. However not before the plans were put in place to return soon in order to purchase a whole range of beers so Roger can have a beer tasting night with the boys. 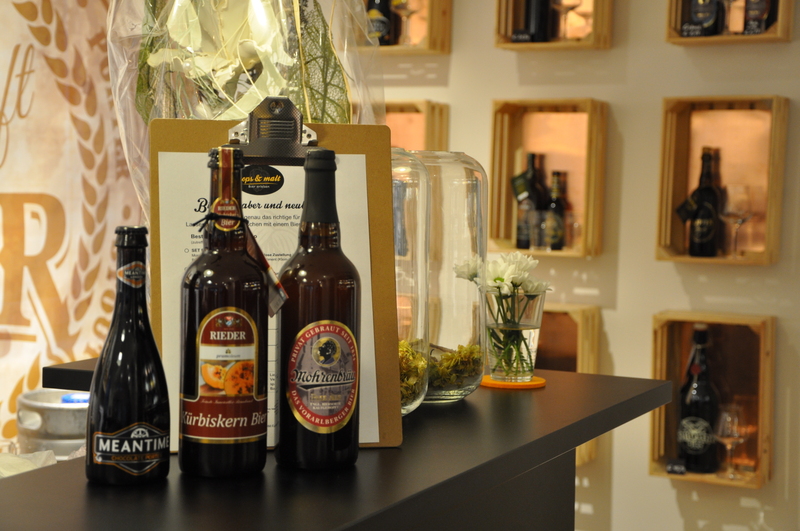 Hope & Malt have since opened up a second shop in Bregenz.